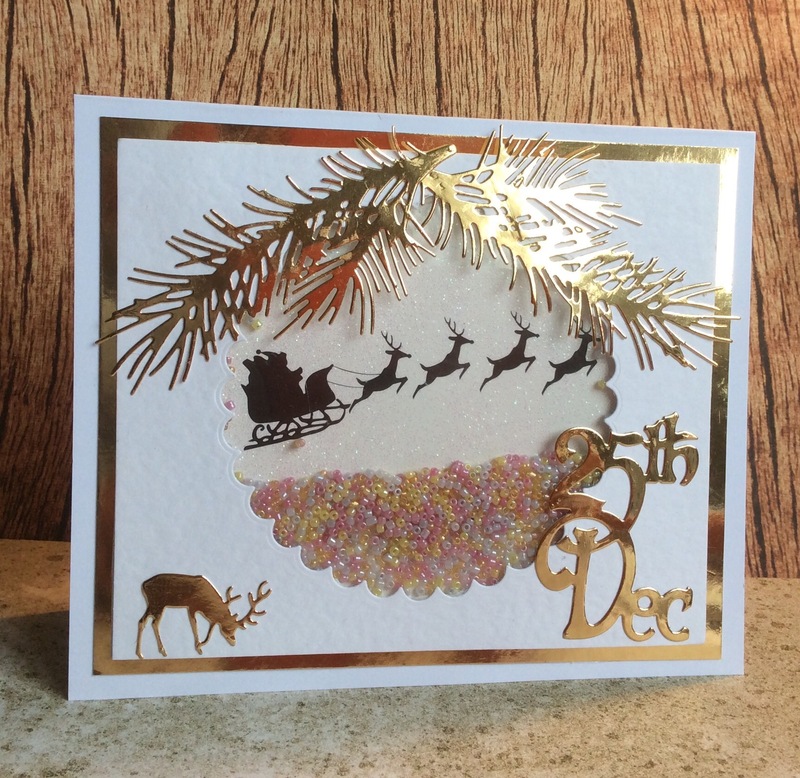 On this card I used the negatives from my Xmas tree and Deer dies to press Snowtex onto the paper, giving a snowy effect. 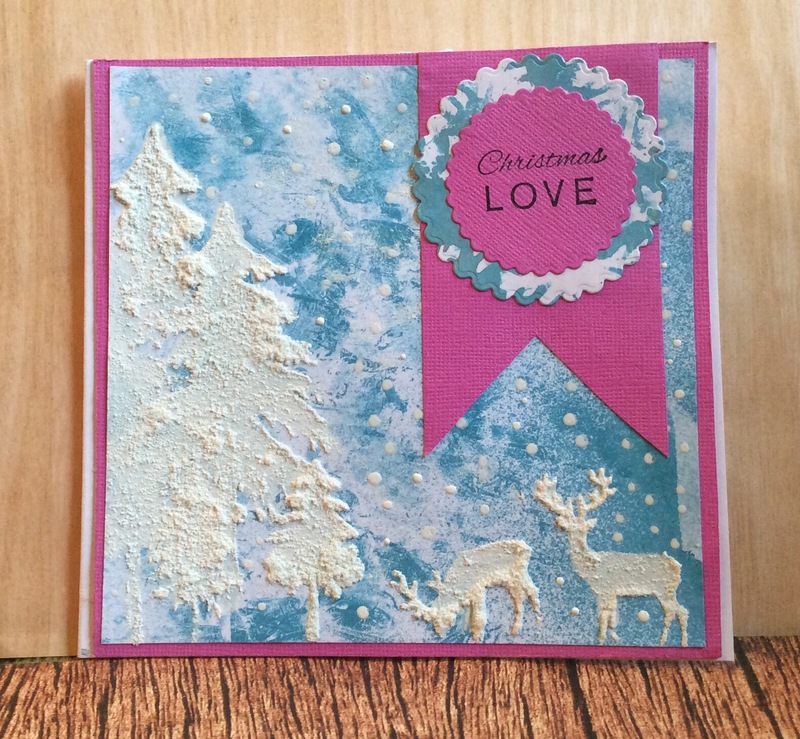 The background blue is made by pulling the Tim Holtz distress ink pad China Blue over white card and then I added White enamel dots for a snowy effect. A pennant and message finish it off. Layered with pink Bazzil card. 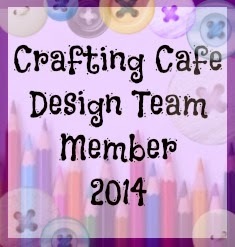 What troubles I had with this shaker card! I managed to make it air tight, but the whys and wherefores of the putting it together had me cursing, I can tell you! Anyway, after many hours, here it is, hope you like it! 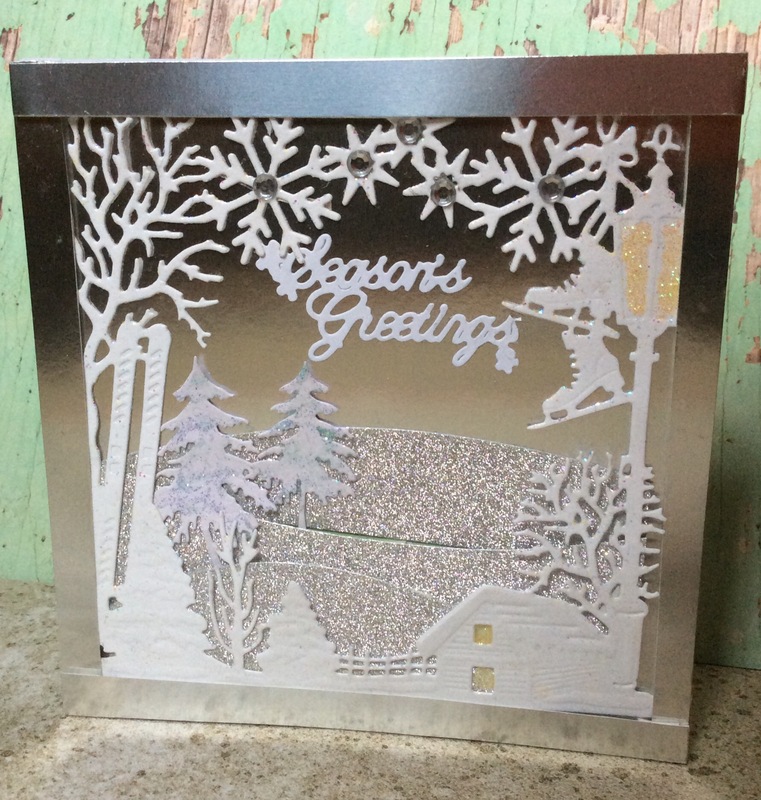 Here is a silver Christmas card made using various dies, glitter and gems. I framed it afterwards.